Concluding The Luxury Symposium 2018 - the day dedicated to the promotion and enhancement of the Indian luxury industry - the Italian embassy in New Delhi hosted the “Light First” iGuzzini event on 30 November. The exclusive evening event - organized by LSI (iGuzzini distributor in India) at the residence of the Italian Ambassador in India, Lorenzo Angeloni - aims to favor the internationalization of italian companies and to support, in a targeted and creative way, their presence in India. 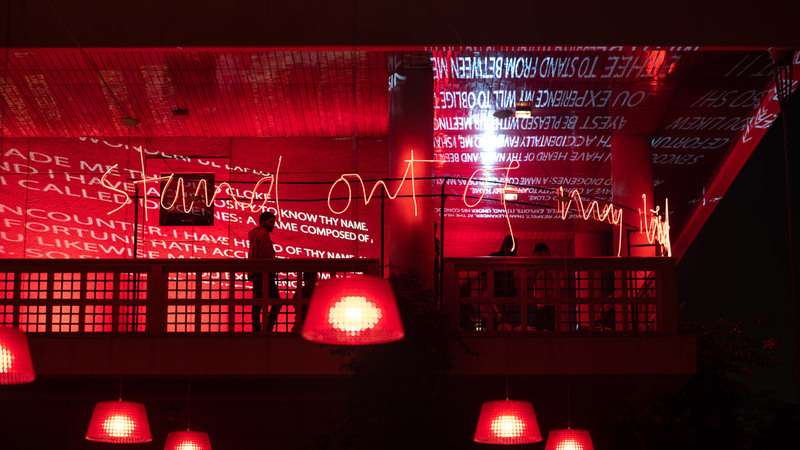 “The idea was to host an experiential, visual and emotional journey - through the artistic installations by the Indian lighting designers - rather than a simple corporate event. Our goal was to help guests discover the great potential of lighting design” - observed the Italian Ambassador in India, Lorenzo Angeloni. 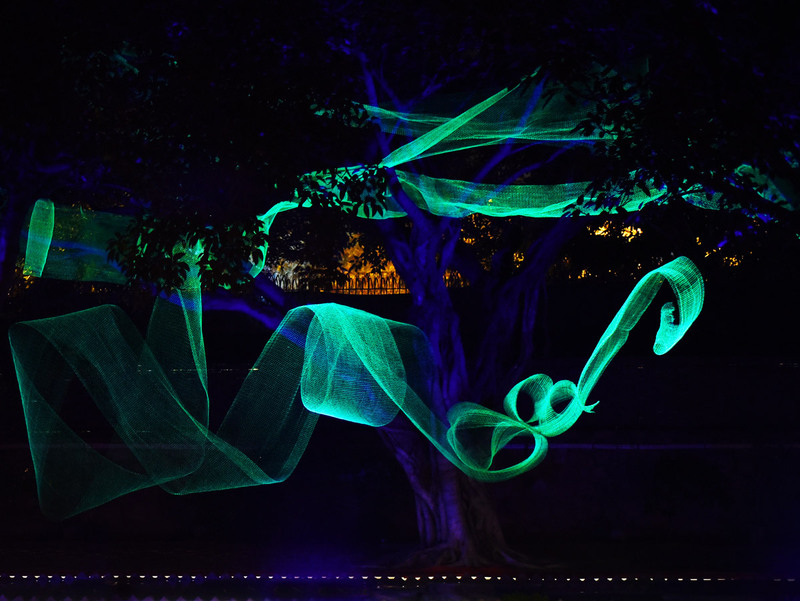 The guests - mostly architects and lighting designers - “will remember an enchanted garden with poetic corners of light. They will remember light paths and arches illuminated by rainbow-coloured leds able to change colour as people move close to them. They will remember the mastery of how light and shadow communicate in an unconventional way. Most of all, they will remember how Italian design is able to express the delicate balance between form and function” - commented the Italian Ambassador. iGuzzini - always supportive of designers, architects and lighting designers - lit up a series of evocative artistic installations, such as: Wysiati by Harmeet Singh Issar (Design Matrix studio), Four Seasons by Linus Lopez (Lirio Lopez studio), Yours and mine by Manav Bhargava (Mandala studio) and the 7 concepts designed by Vibhor Sogani. Kanchan Puri Shetty and Sarvdeep Basur also attended the event. Lighting concept: An installation that, depending on the angle you look at it from, stimulates people to stop, reflect and take on a new perspective. 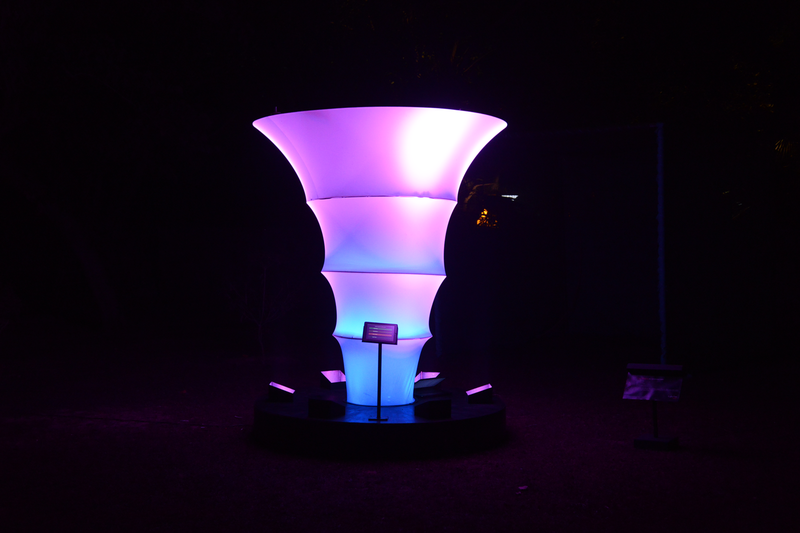 Lighting concept: A tactile interactive installation based on the sounds and colours of the four seasons of Delhi, portraying light as the creative element that generates attractive spaces. Lighting concept: Inspired by the encounter between Alexander the Great and Diogenes, the installation aims to explore the ubiquitous question "Whom does light belong to?". 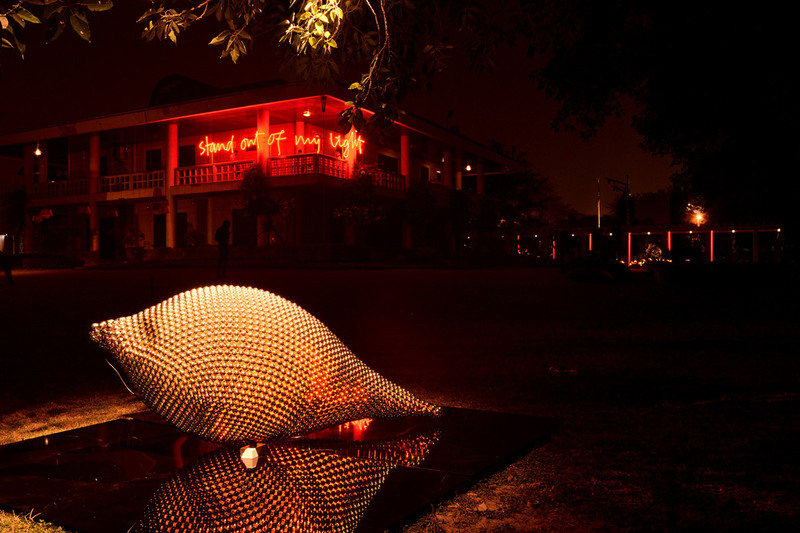 Lighting concept: Inspired by a shell, the installation is a tribute to life and nature. The light emerging from the fluid forms incites viewers to debunk the mysteries encapsulated in the artwork.